Bradford Gets The Start Verses The Patsies With A Tiger Of A Target! A. J. Feeley has been officially scratched from the roster for this Thursdays pre-season game against the New England Patriots with a sprained thumb. The injury is not severe. The team wants to be cautious with Feeley and say he should return to the practice field on Saturday following the New England game. 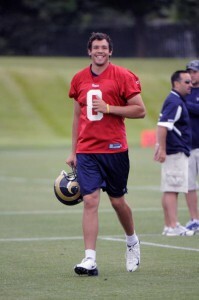 This means rookie Sam Bradford will get all the work with Steven Jackson and the first team offense. It’s put up or shut up time for the kid. The Rams are finally getting the idea! You want to put butts in the seats at that empty dome??? Pick up some local talent! This week the Rams signed a prime target for Bradford to toss the ball to, Danario Alexander, an all Big 12 wide reciever and stand out at the University of Missouri! 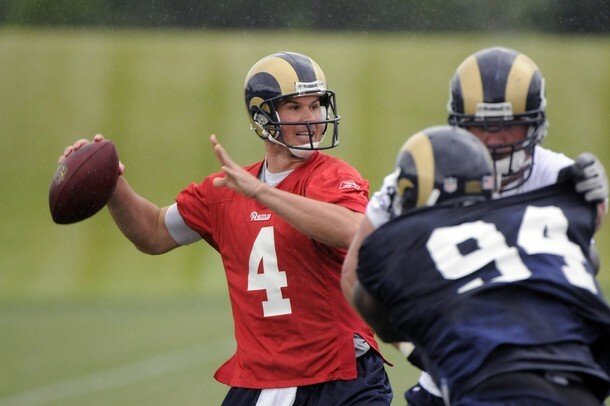 Alexander will wear number 84 for the Rams and will see action on Thursday night in Foxborough. Check back this weekend for the game recap and just how our boys do against the Patsies! 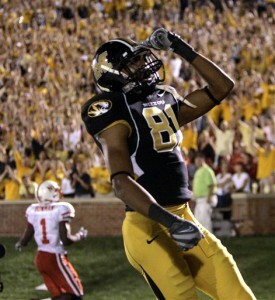 I am Ram Man and I will see you in the end zone!